Amino acids tablet is a health supplement that has been formulated to provide: Essential amino acids like Valine, L- Methionine, Leucine, Tyrosine, Phenylalanine, Lysine HCl, Threonine, Isoleucine, Histidine and Tryptophan. Amino acids are organic compounds that act as building blocks for the body, as they make up proteins. Proteins are of vital importance. All the cells of our body are comprised of proteins, which are essential for the repair, growth and maintenance of the cells. Proteins are actually chains of amino acids linked together, which regulate all body functions. They control the body's water balance and pH, they repair bones and cells, they facilitate the exchange of nutrients between the tissues, they provide the body with energy and they also form the structural basis of chromosomes, certain amino acids act as neurotransmitters and facilitate the communication of the brain with the nerve cells elsewhere in the body. The presence of amino acids also enables vitamins and minerals to perform all their important functions. Without these essential amino acids, the human body is unable to function normally and in some extreme cases, cause death. This tablet is a synergistic combination of amino acids to support the structure and function of ligaments and improve immunity, these nutrients together can support normal restorative functions in the body after sprains, stretched ligaments and pulled tendons. When we eat a meal we don't pay much attention to the content and balance of amino acids with vitamins but the content of the meal determines the body and health building value of the protein food or supplement. Essential nutrients like amino acids are not available to body through a regular diet. In addition the importance of the amino acids content of our meal is important to support maximum growth we also have to take another factor into account which is to what extent these amino acids are actually delivered to the tissues when they are needed which takes us to the issues of digestion, absorption and also the bioavailability. AMINO ACIDS are the building blocks of the body. Besides building cells and repairing tissue, they form antibodies to combat invading bacteria & viruses; they are part of the enzyme & hormonal system; they build nucleoproteins (RNA & DNA); they carry oxygen throughout the body and participate in muscle activity. When protein is broken down by digestion the result is 22 known amino acids. Intake of amino acids is a must to provide a complete flow of nutrients to your body. Amino acids are vital for our body growth. Valine is an amino acid obtained by hydrolysis of proteins and was first isolated by the German chemist Emil Fischer in 1901 from casein and is not only an essential amino acid but is also a branched-chain amino acid (the others are isoleucine and leucine) found in high concentration in the muscles. Valine is an essential amino acid, which means that it cannot be manufactured in the body and must be obtained through dietary sources Valine provides numerous benefits like improvement in insomnia and nervousness. Besides, it is also proved to help alleviate disorders of the muscles, and to be an effective appetite suppressant. 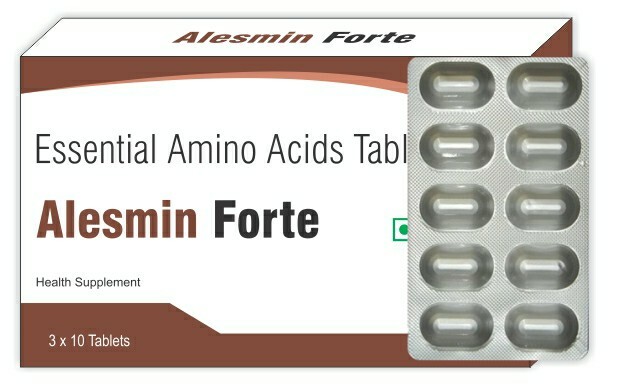 This amino acid also greatly improves the regulation of the immune system, but probably the greatest benefits of Valine are experienced by athletes performing long-distance sports and bodybuilding, because this amino acid is important for the muscle tissue recovery and for the muscle metabolism, while increasing exercise endurance. Uses: Required for stimulate the central nervous system, and is needed for proper mental functioning. Methionine is a naturally occurring compound found in almost every tissue and fluid in the body. It is involved in many important processes and plays a role in the immune system, maintains cell membrane, and helps produce and break down brain chemicals, such as serotonin, metatonin, and dopamine. Uses: Useful in depression, arthritis pain as well as chronic liver disease. Leucine is an essential amino acid, which cannot be manufactured in the body and is part of the three branched-chain-amino-acids. Supplements and protein powders that contain leucine are extensively used by bodybuilders and other athletes to promote muscle recovery. It also increases production of growth hormones, and helps burn visceral fat, which is located in the deepest layers of the body and the least responsive to dieting and exercise. Leucine also promotes the healing of bones, skin, and muscle tissue after traumatic injury, and is often recommended for those recovering from surgery. Uses: Required for repair muscles, regulate blood sugar, and provide the body with energy. Tyrosine is one of the amino acids, which are the building blocks of protein. The body makes tyrosine from another amino acid called phenylalanine. It is considered an "anti – stress" ingredient and help to reduce the negative effects of physical, temperature and other types of stress. It is also a precursor to thyroid hormone, which can support metabolism. Tyrosine is incorporated into proteins of all life forms and is a precursor for synthesis of a number of important bioactive substances within the body. Uses: Help regulate mood and stimulates the nervous system. The body needs adequate supplies of tyrosine to make many important brain chemicals that help regulate appetite, pain sensitivity, and the body's response to stress. Phenylalanine is an essential amino acid that is also one of the aromatic amino acids that exhibit ultraviolet radiation absorption properties and is the most commonly found aromatic amino acid. As a building block of protein, phenylalanine is changed into tyrosine that helps the brain stay balanced. The body needs phenylalanine to make epinephrine, dopamine, and norepinephrine, three neurotransmitters that basically control the way you perceive and interact with your environment. Phenylalanine supplementation may help you feel happier, less hungry and more alert; it has also to treat chronic pain and improve memory and concentration. Uses: Requried for normal functioning of the central nervous system. Lysine is an essential amino acid and is a basic building block of all proteins and essential for health. This nutrient was first isolated in 1889 from casein. However, it cannot be manufactured naturally in the human body like other types of amino acids. Therefore, L-lysine, also called lysine, is considered as one of the eight essential amino acids. L-lysine is necessary for normal growth and development. In particular, L-lysine is needed by the body to manufacture carnitine, a substance that is used in the conversion of fatty acids into energy. It also helps in calcium absorption and collagen formation which are important for muscle and bone health. Uses: Required for normal growth and development. Threonine is an essential amino acid, and cannot be manufactured by the body and is found in high concentrations in the heart, skeletal muscles and central nervous system. It is required to help maintain the proper protein balance in the body, as well as assist in the formation of collagen and elastin in the skin. Threonine is needed to create glycine and serine, two amino acids that are necessary for the production of collagen, elastin, and muscle tissue. Threonine helps keep connective tissues and muscles throughout the body strong and elastic, including the heart, where it is found in significant amounts. It also helps build strong bones and tooth enamel, and may speed wound healing or recovery from injury. Threonine supports the immune system by aiding in the production of antibodies, and because it is found largely in the central nervous system, may be helpful in treating some types of depression. Uses: To supports cardiovascular, liver, central nervous, and immune system function. Isoleucine is an essential amino acid and is part of the three "branched chain amino acids" (BCAA) - the other two being leucine and valine. This amino acid cannot be manufactured in the body, and needs to be supplied in the diet and was first isolated in 1904 from fibrin. This amino acid is especially important to serious athletes and body builders because its primary function in the body is to boost energy and help the body recover from strenuous physical activity. Isoleucine is actually broken down for energy within the muscle tissue. Uses: Needed for hemoglobin formation and also stabilizes and regulate blood sugar and energy levels. L-histidine is an essential amino acid and one of the 23 proteinogenic amino acids. It has an imidazole functional group, which is typical for an aromatic amino acid. It is involved in the formation of proteins and influences several of the metabolic reactions in the body. As L-histidine is only produced in very small amounts by the body, it must predominantly be taken in through the diet. In certain cases, the synthesis of L-histidine is so limited that it can be said to be one of the essential amino acids. Histidine levels in the body must be balanced to ensure good mental and physical health. High levels of this amino acid have been linked to the presence of psychological disorders such as anxiety and schizophrenia, while low levels of histidine are thought contribute to the development of rheumatoid arthritis and the type of deafness that results from nerve damage. Uses: Required for mental disorders as well as certain types of sexual dysfunction. Tryptophan is an essential amino acid and is needed to maintain optimum health. This amino acid is required for the production of niacinamide (vitamin B3). It is used by the human body to produce serotonin, a neurotransmitter that is important for normal nerve and brain function. Serotonin is important in sleep, stabilizing emotional moods, pain control, inflammation, intestinal peristalsis, etc. L-tryptophan occurs naturally in foods, but only in smaller amounts than most other amino acids. However, it performs many important functions in the human body and its metabolism. The mood-lifting effects of L-tryptophan are particularly worth noting. This stems from the conversion of the amino acid into the neurotransmitter serotonin. As a precursor for serotonin, L-tryptophan contributes significantly to the balancing of our state of mind and has particularly positive effects on our sense of wellbeing. Uses: Helps regulate behavior and improve sleep quality. It also reduces anxiety and stress. Pregnancy and Breast-Feeding: Pregnant and lactating mothers should not take any single supplement in higher-than-normal doses unless recommended by a health-care provider for a special condition. Thereby, although safe this product should only be taken after consulting your dietician in the recommended dose only. The combiation should only be used in pregnancy and lactation if benefits outweigh the risks.